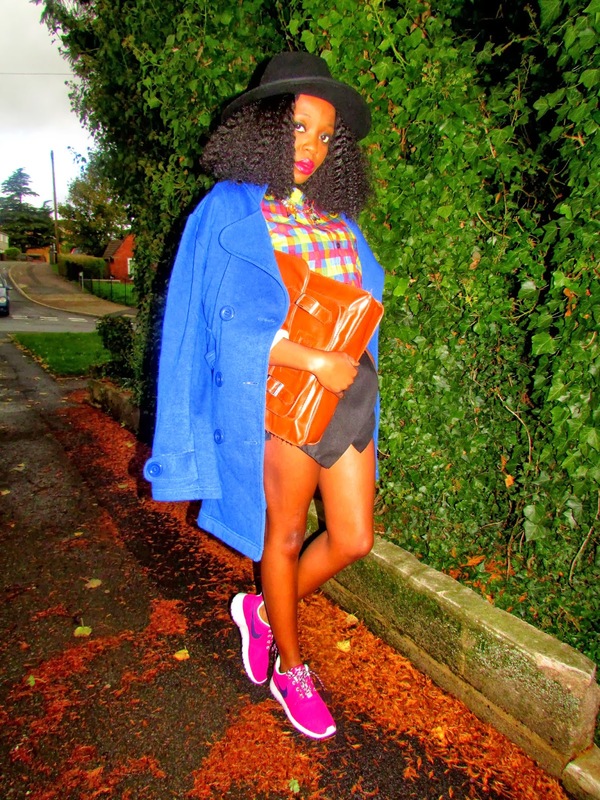 H&M Hat / Peacocks Shirt / Ebay Zara Skort Lookalike / Mirage Coat / Primark Satchel / JD Sports Nike Roshe Runs. And my streak of urban style outfits continues, today I come at you in yet another pair of trainers. 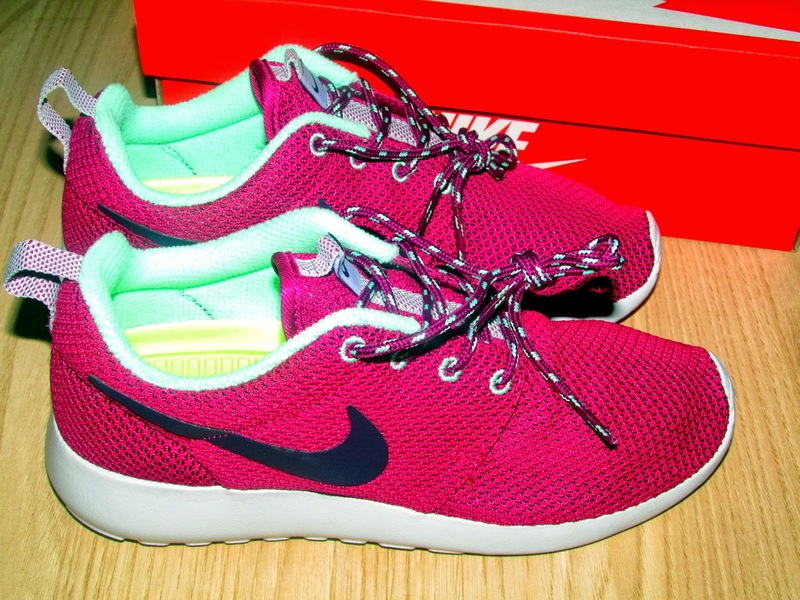 But wait, these are not just trainers, they are Roshe Runs! Only the most comfortable shoes you'll ever wear! I received these amazing shoes from JD Sports after they had contacted me via email regarding sending me a free pair of trainers to review. They arrived to me on Saturday and I can safely say that I've worn them almost everyday since, that's how much I love them. Thank you JD Sports! With their amazing design that gives a free run look to the shoe whilst the rubber sole has a retro feel and great traction, this shoe is most certainly a must-have. They are very lightweight and casual which is great as they can be worn with just about anything. I chose a bright coloured pair merely because I'm forever team brights! It's only right to style up these badboys urban retro style. 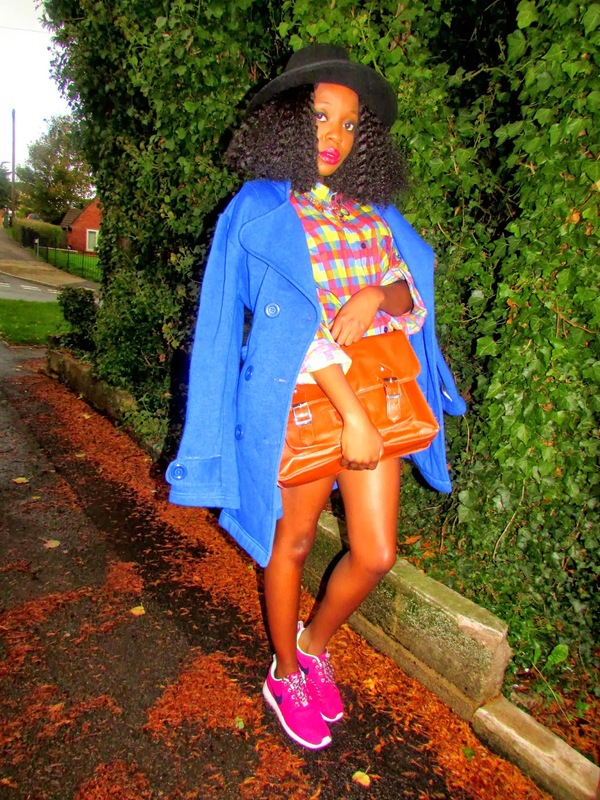 Teaming them up with a 90s style bright coloured shirt, skort and electric blue coat, its all about keeping things simple! 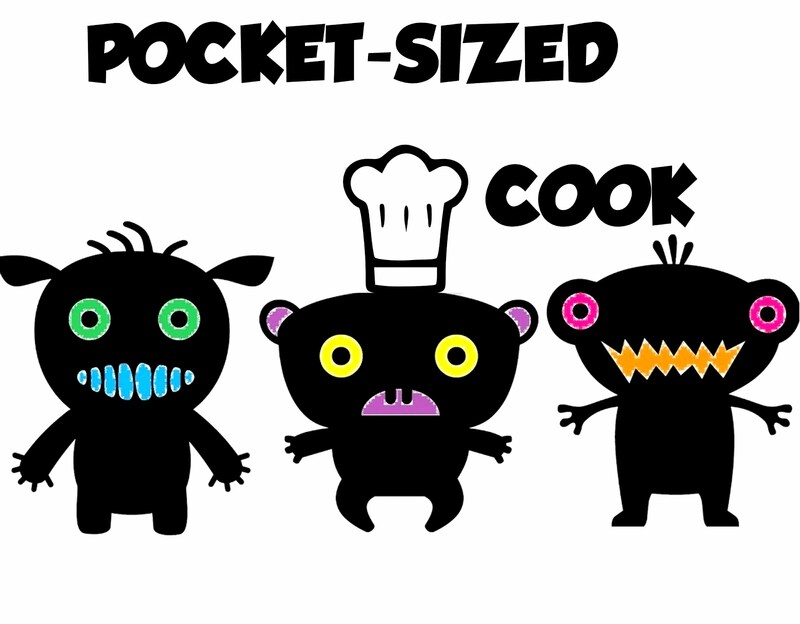 Anyway, there's a new Mexican restaurant in town and I've heard that they have boritos so I'm off to invade & demolish! 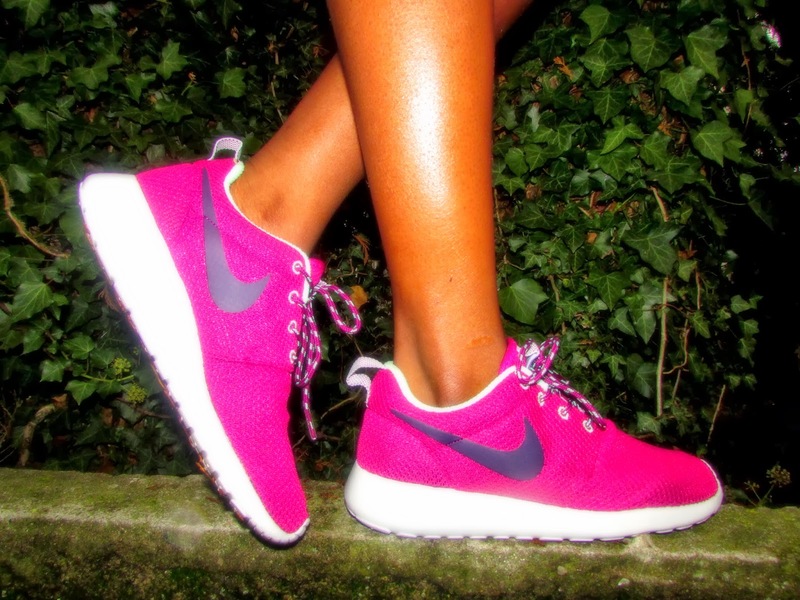 You can have a look at the Roshe Runs HERE!